Have all your ingredients at room temperature for a moist and fluffy cake. 1. Heat oven to 350 degrees. Butter a 6 inch cake pan. Pour 2 tablespoons melted butter into the cake pan. Sprinkle 3 tablespoons brown sugar over butter. Scatter 2/3 cup blueberries over sugar. Set aside. 2. In a medium bowl, whisk together flour, baking powder, and salt. In another medium bowl, whisk together remaining 2 tablespoons butter, remaining 1/3 cup brown sugar, and the egg. Whisk the buttermilk into the egg mixture. Add flour mixture and whisk until batter is smooth. 3. Pour half the batter into the cake pan. 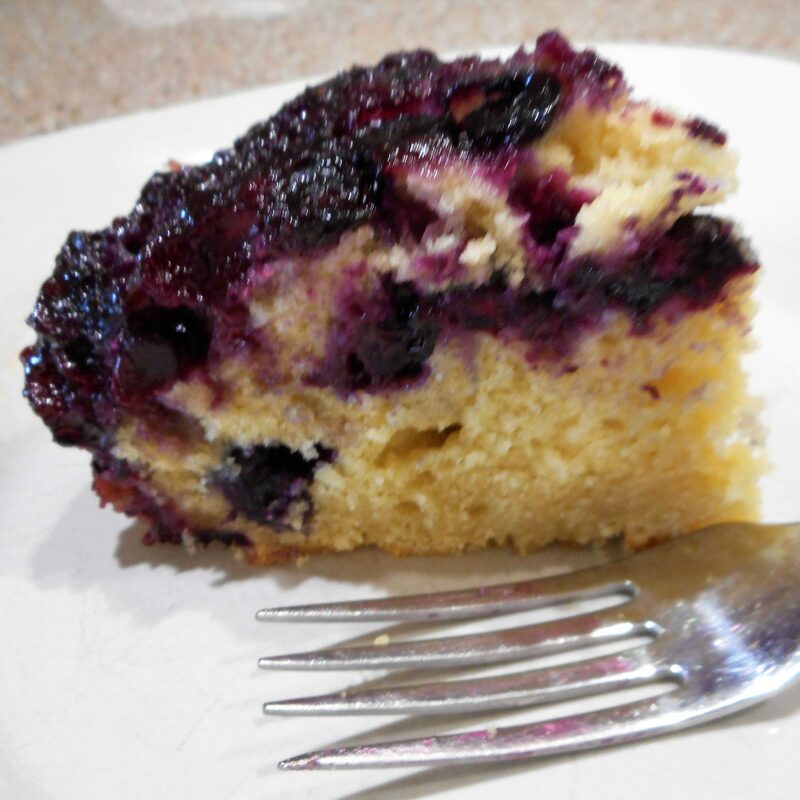 Sprinkle remaining 1/3 cup of blueberries over the batter. Spread the remaining batter over the blueberries. 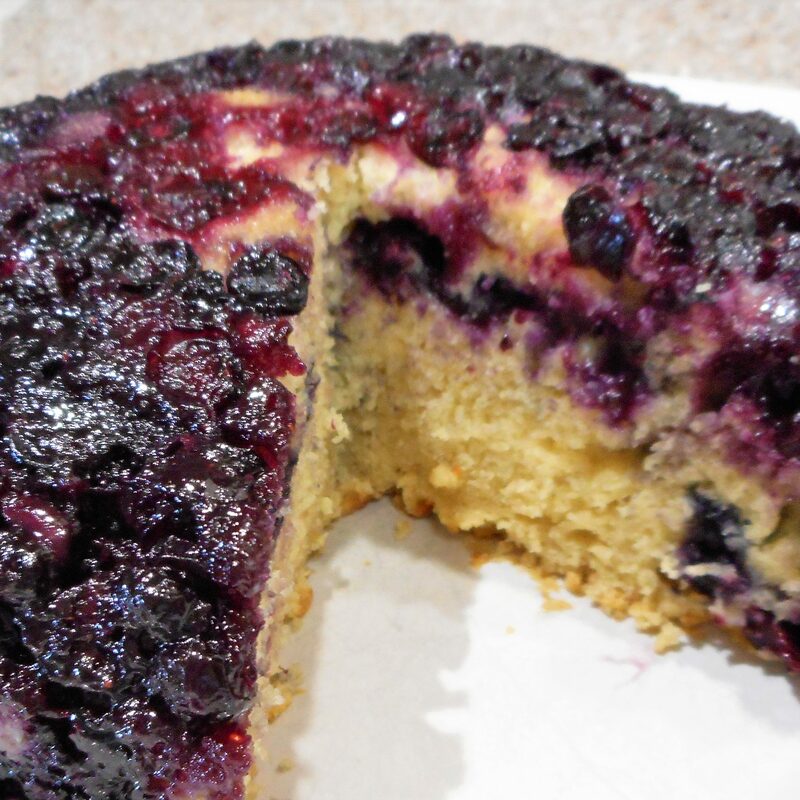 Bake until a cake tester inserted in the middle of the cake comes out clean of batter, about 45 minutes. Immediately unmold the cake, inverting it onto a serving dish. Serve warm with whipped cream if desired.